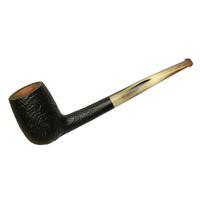 Ropp's "347" has long been a faithful representation of the old Cutty shape, here offered paired to a long and lean Churchwarden stem to make for a comfortable pipe when you want to kick back and relax. 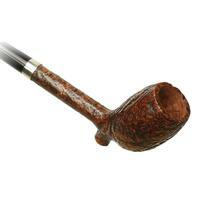 Bowl Height: 1.72 in./43.58 mm. Chamber Depth: 1.44 in./36.61 mm. Chamber Diameter: 0.68 in./17.34 mm. Outside Diameter: 1.14 in./29.08 mm.